Take a chilling plunge into the Atlantic Ocean to benefit Special Olympics South Carolina. Our goal is to raise $90,000 with more than 700 brave participants taking THE PLUNGE. In South Carolina, thousands of people with intellectual disabilities benefit from the opportunity to participate in Special Olympics. The organization receives no federal funding and relies on private and corporate support as well as the efforts of hundreds of volunteers to provide services at no cost to the athletes and their families. Come join the fun individually or as a team of friends, family, or co-workers! 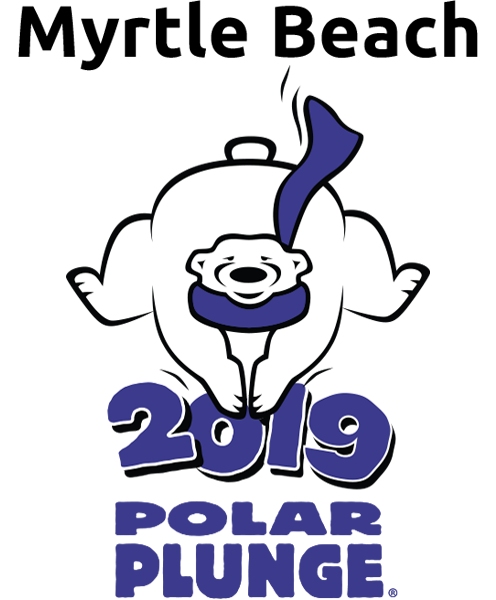 Everyone who participates in the plunge ($50 donation minimum) earns a commemorative Plunge T-shirt. Other gifts awarded as well, based on the amount of your donation, including a special two-night Plunge Weekend package at the Sands Ocean Club for contributions of $1,250 or more (individual contributions only). Plunge party includes fun for all ages, plungers and spectators alike. Party includes food, music, and games. Plunge merchandise will be available. All proceeds will benefit Special Olympics South Carolina and Horry County. All proceeds will benefit Special Olympics South Carolina and Horry County. Hope you join us for a whole lot of fun at this event!